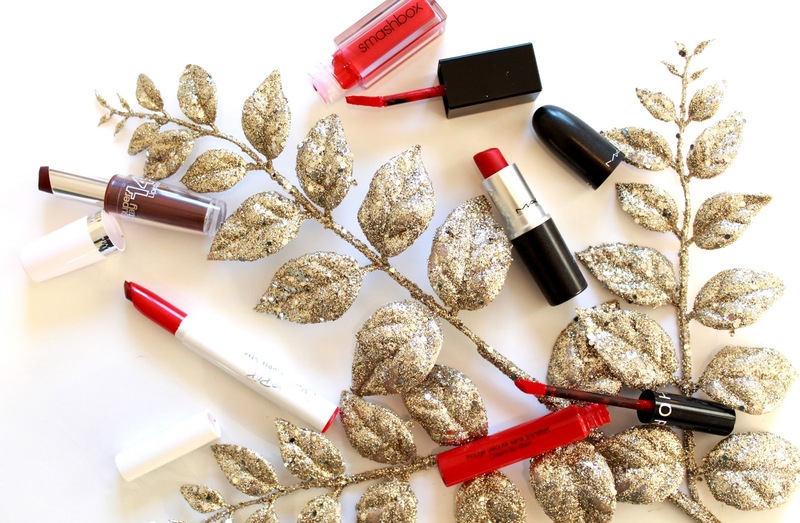 'Tis the season of glitter, sparkle and of course, the perfect red lip. Each year when Holiday season starts, I quickly grab for my favorite shades to celebrate the season. Red lipstick is a classic statement that will never go out of style. Bold lips aren’t going anywhere and finding that perfect shade of red can be challenging with all the options on the market right now. 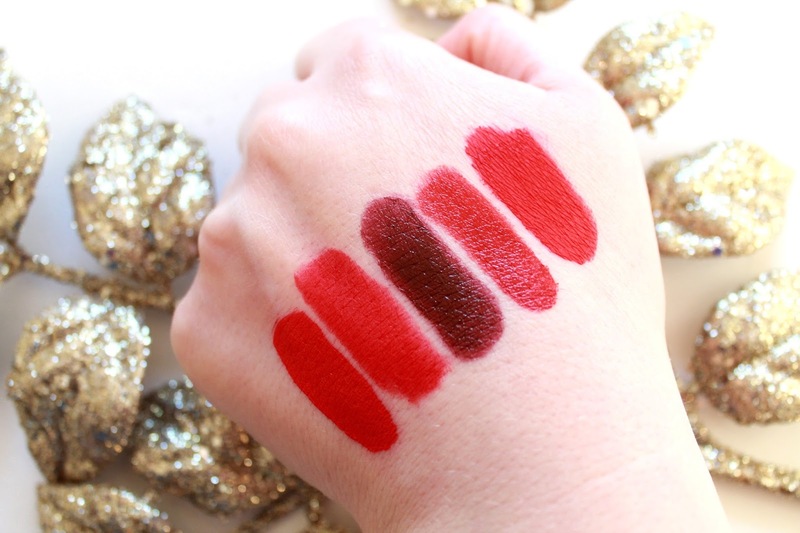 Whether you like a rich deep red or a dark vampy violet tone, I have tallied up my list of go-to shades to fit any event or gathering for this time of year. When it comes to the perfect shade of red, it can be tricky to decide what shade is best to go with. If you have fair completion like myself; I would recommend blue-based reds or bright pink toned reds. The Smashbox Always on lipcolour in "bang-bang" is the brightest option in my collection. The formula is a liquid that dries matte and applies full colour from first swipe; no need to go back in for added opacity. The other colour option I recommend is the Sephora cream lipstain in "Always Red 01". This formula has to be the most comfortable to wear and lasts for hours on end. This has been my top pick for year round wear and travels with me all the time. With the vast selection of liquid lipsticks available, we've forgotten about the beauty of using an old classic lipstick from the bullet. A classic matte staple in my lipstick wardrobe, is the matte finish lipstick from MAC Cosmetics in "Ruby Woo". The longevity while still having the comfort makes this a guaranteed winner for any beginners looking to get into the red lippie game. 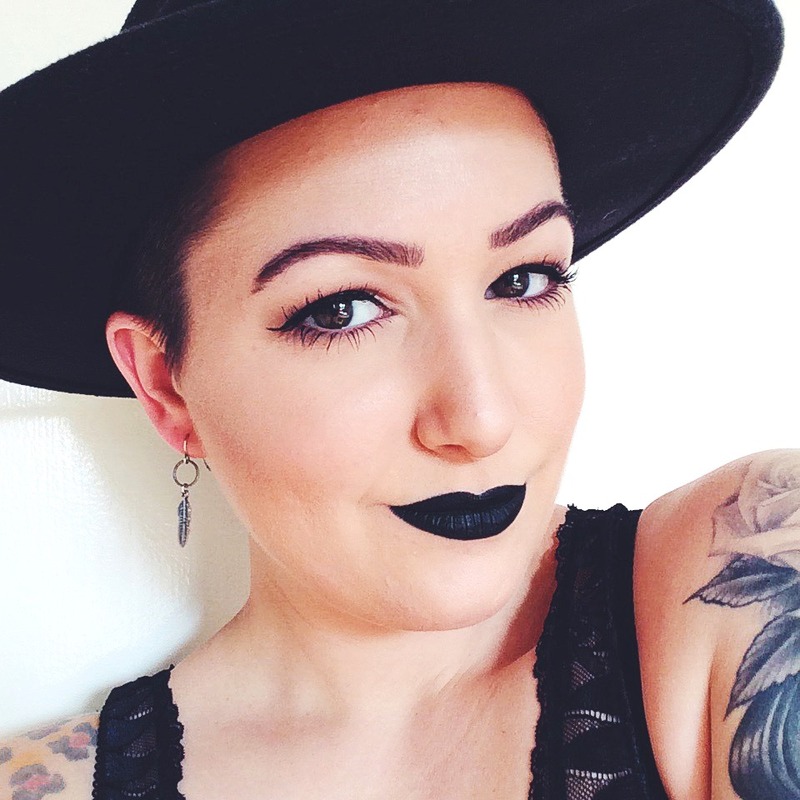 Another option for absolute comfort are the Colour Pop Lippie Sticks. Colour Pop is a US online only cosmetics company, and might be one of the most unique upcoming brands in the makeup world right now. They are mostly known for their formulations of lipsticks and eye shadows. My favorite range is their Lippie Sticks in the Matte finish. Once again, these are so comfortable to wear you forget you even have any lipstick on! If you're feeling brave and want to test the waters of going darker, I highly recommend the Maybelline 14hr lipcolour in "Wine and Forever". In my opinion, this is one of the most overlooked formulas of lipsticks in the drugstore. The worry most women have with using a darker lipstick, is nailing the application and not having it bleed outside the lines of the lip. With this formula you have no worries! Doubled with a rich, creamy opaque formula its a true gem hidden at the drugstore.